If you live in Park Slope, you know how vibrant Brooklyn truly is. Of course by “vibrant,” we mean that there is always a new restaurant, bar, or show to check out, and it keeps you busy in the best possible way. Your time is precious, and when you finally have enough to go to the dentist, you only want to go to one place. Thankfully, that place is right in your neighborhood at The Dental Spa of New York. 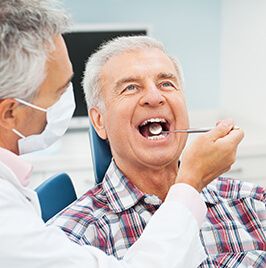 Your Park Slope dentist, Dr. Frank Sapienza, understands that for Brooklyn residents, your time may be limited, but you still expect the utmost service. Being a Brooklynite himself, Dr. Sapienza can give you exactly what you need. Your dental needs are going to change over time, and if you’ve formed a relationship with a doctor, the last thing you want to do is have to find another practice because they can’t give you what you need. 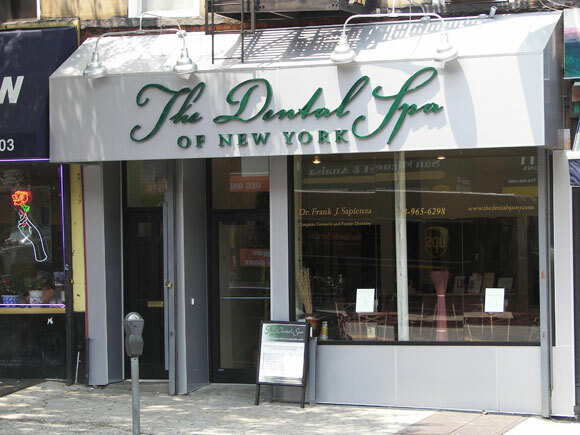 With The Dental Spa of New York, everything you need now or in the future is all in one location. 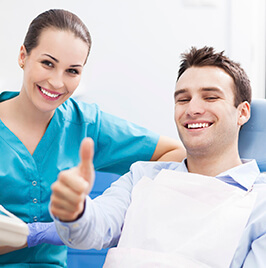 We have the range of services that can take care of your teeth no matter what you need. Technology is continuing to change and improve the world, and the same can be said for modern-day dentistry. We continually update our office with the latest tools of the trade so we can get you in and out of the dentist’s chair quicker while still maintaining the highest quality of care. If there is a better way to do something, you can bet that’s how we do it. Going to the dentist causes a lot of stress and anxiety for some people, and we’re fully aware that it is our responsibility to help you with it. That is why we take extra steps to make you comfortable your entire time with us. We’ll offer freshly baked bread and cookies as soon as you walk in the door, and you can relax at the juice bar while you wait. Our office is also filled with TV’s, massage chairs, and many other things to give you the most relaxing dental experience ever. 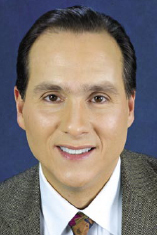 Dr. Sapienza is a second-generation dentist, and has been creating beautiful Brooklyn smiles for more than 30 years. He worked alongside his father in family dentistry for years before opening The Dental Spa of New York. He then went on to earn his DDS degree in 1985 at the New York University College of Dentistry. He continues to pursue training and education in all aspects of dentistry to bring patients the best care possible. As a vested member of the dental community, Dr. Sapienza is part of the American Dental Association, the Dental Society of the State of New York, and the Second District Dental Society. He also authored the book, Computers in the Dental Office: How to Evaluate, Select and Get the Most Out of Your System in 1992. Many of our Park Slope patients are actually able to just walk to our office. We’re on 5th Ave. between 6th and 7th St. You just need to head northwest on 6th and take a left on 5th Ave., and we’ll be on your right. We’re also located right next to the 5th Ave./7th St. B63 bus stop. Just like everywhere in Brooklyn, we’re next to tons of great places to eat, like the Taj Mahal Indian restaurant, KC Tasty Deli & Grill, and just across the street from Rachel’s Taqueria. Of course, even though the office might be warm and comfortable, you’re truly there to get your teeth taken care of, and we can do that at a level other practices simply can’t match. Combining pure skill and cutting-edge technology, the team at The Dental Spa of New York will give you a smile that will look great, be healthy, and stay that way for years. Did you know that periodontal disease, commonly called gum disease, is the leading cause of tooth loss in the United States? 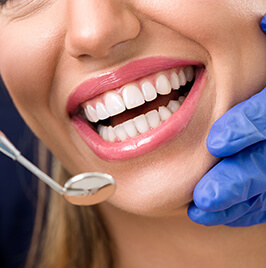 Dr. Sapienza and his team at The Dental Spa of New York® in Park Slope will assess your gums for signs of this silent destroyer, and then we’ll offer non-surgical therapy in our dental spa. After all, gums are an important part of your healthy smile! Missing teeth not only destroy a smile, they have the potential to harm your health, too. Having one or more missing teeth can compromise your ability to enjoy a nutritious diet, including fresh fruits and vegetables. The chances of having gum disease increase if you have missing teeth; gum disease has been linked to a number of bodily ailments including high blood pressure, stroke, cardiovascular disease, osteoporosis, diabetes and even low birth weight in newborns. Missing teeth can cause your other teeth to shift, possibly leading to a bad bite and temporomandibular joint disorder, or TMJ. A crown is suggested when a tooth is compromised by damage or extensive decay. 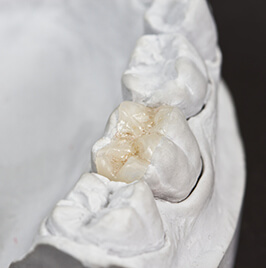 A ceramist hand makes the dental crown to fit as a snug covering over the existing prepared tooth. During an initial dental visit, Dr. Sapienza will examine the tooth or teeth that may require a crown. 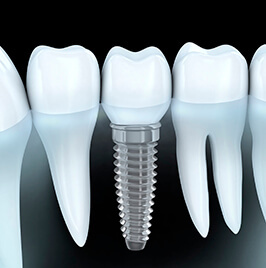 If you do need to have a crown placed, we will treat the existing tooth in preparation for the crown, and take an impression of you bite. This impression will be used by the ceramist to mill your custom prosthesis. 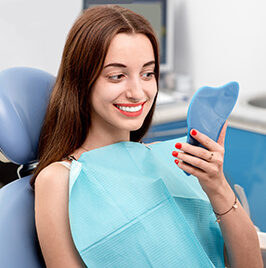 When a filling is not large enough, but a crown is not necessary to restore a tooth affected by decay, Park Slope dentist Dr. Sapienza may recommend a ceramic inlay or onlay. These puzzle-like applications are prepared in a dental lab with modern aesthetic materials. 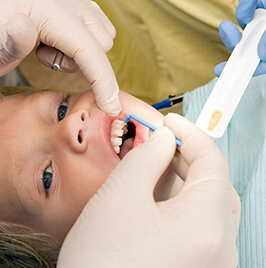 When placed, an only or inlay can completely restore structural integrity, function and the appearance of a tooth. One of the most confusing dental procedures is receiving ceramic inlays and onlays treatment. 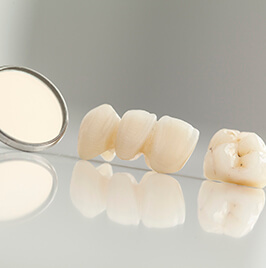 Unlike in years past where big fillings needed full crown therapy in order to restore your tooth health, things have changed. A more conservative and highly successful option is inlays and onlays – they both fit into a tooth similarly to a filling, yet they are milled restorations. 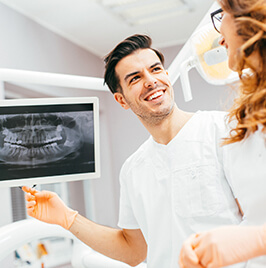 Dr. Frank Sapienza and his team of experts offer ceramic inlays and onlays, as well as additional general and cosmetic dentistry services in our Brooklyn, NY office. Many patients are not aware that people without teeth statistically do not live as long as those with a complete smile. Having even one missing tooth can negatively affect your diet—you may not be able to maintain healthy nutrition that must include fresh fruits and vegetables, grains and protein. Your speech can be affected too—some people with tooth loss find clearly pronouncing certain letters or sounds more difficult. And lastly, a smile with missing teeth can harm your self-esteem and cause embarrassment in both social and professional situations. If you have experienced tooth loss, then you know the consequences are physical, emotional and psychological. Physically, even one missing tooth can impact your ability to enjoy a well-balanced diet, because you may be unable to eat healthy foods such as raw fruits and vegetables. Emotionally and psychologically, simply knowing that others are noticing the gap in your mouth can impact you in professional and social situations. You may be reluctant to speak, smile or laugh. 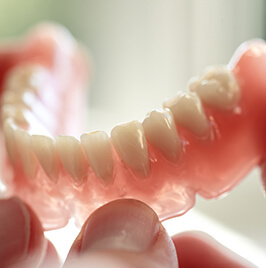 Therefore, the importance of replacing missing teeth cannot be overstated. And while you do have options when choosing a tooth replacement, a dental implant is probably the most natural in form and function. Significant oral decay, disease, or damage can destroy a smile. However, modern dental innovations and years of training have given Dr. Sapienza the tools and skills required to completely restore even the most severely affected mouths. Whatever your oral state, we can restore your strong, healthy, beautiful smile. Schedule a comprehensive evaluation so that we can assess your oral health, discuss your goals, and show you how The Dental Spa of New York® can restore your smile and your life with full mouth reconstruction. Has anyone ever told you that you grind your teeth at night? The sound is rather unmistakable, so if you’ve heard this then chances are you do. Actually, all of are susceptible to teeth grinding and clenching—also called bruxism—every now and then. When stress, anxiety or anger hit, then one of our natural responses is teeth grinding. Problems begin, however, when bruxism becomes a habit. And because this habit most often occurs while you’re asleep, breaking the habit can be difficult if not impossible. Nightly grinding and clenching can negatively impact tooth enamel, gum tissue, your jaw and the bone structure that supports your teeth. Furthermore, this destructive habit can even lead to broken or fractured teeth. No matter your sport or level of play, protecting your smile with a custom-fitted athletic mouthguard from the Park Slope dentist can make a big difference for the health of your smile. In fact, one of the most significant factors causing dental emergencies is contact sports. 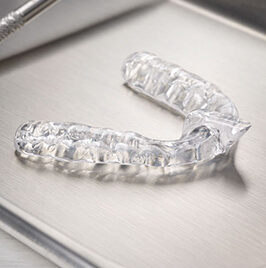 Avoid chipped teeth, knocked out teeth, fractures, breaks, and even concussions by wearing a mouthguard created just for your smile! 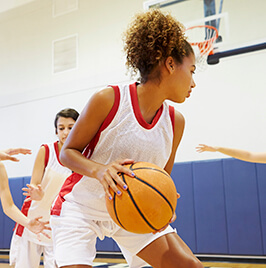 Dr. Frank J. Sapienza provides customized sportsguards for athletes of all ages. Surgical extractions -- often used for wisdom teeth -- are performed when the tooth is only partially visible, has come in at an angle, or is completely trapped beneath the gumline. Dr. Sapienza cuts open the surrounding gum tissue and removes the tooth in multiple pieces. 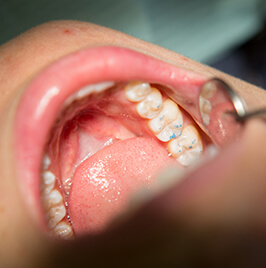 The gum tissue is then closed with stitches. When most people think of a root canal, they imagine a painful and time-consuming dental procedure. In truth, the opposite is true. 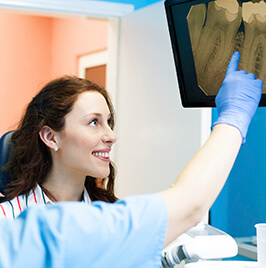 Root canal treatment is intended to relieve the pain of a seriously infected tooth, and the procedure doesn’t require much more time than what is needed for a filling. Let’s say several different cosmetic flaws mar your smile. Perhaps you have a few teeth that are permanently stained. A few are chipped or broken, while still others are crooked or have unsightly gaps between them. Repairing each flaw would require a number of procedures… unless you choose porcelain veneers. With porcelain veneers, Dr. Sapienza can cover up your bothersome teeth and give you a completely new and beautiful smile. Veneers are micro-thin layers of dental porcelain that are expertly crafted in a dental lab. 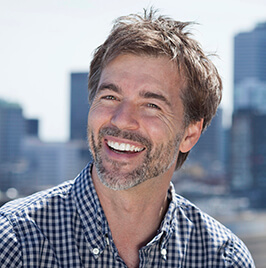 Dr. Sapienza carefully bonds the veneers to your teeth to give you a smile that is better than you ever imagined. 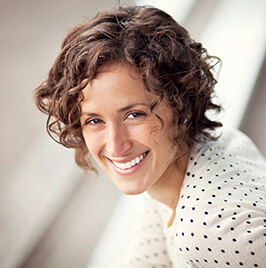 One of fastest, simplest and most cost-effective treatments for cosmetic dentistry in Park Slope is teeth whitening. At The Dental Spa of New York, we offer both in-office whitening and take-home whitening. With our in-office system, the whitening gel is applied to your teeth and in less than an hour you’ll walk out of our office with a smile that is several shades whiter than when you walked in. This treatment is perfect for when you have a special occasion that demands your best smile. If you don’t see your provider on this list, we will file out-of-network claims as well. If you have questions about our policies regarding insurance, please call us or feel free to inquire during your visit. If you don’t have insurance, we can also help you get affordable financing through our trusted partners at CareCredit. From the multitude of amenities, to the high-tech tools, to the personalized service, The Dental Spa of New York is a true Park Slope practice for Park Slope people. Come see why we’re different, and why that’s a good thing. If you have any questions about the services we offer, or are eager to make an appointment, please give us a call today.